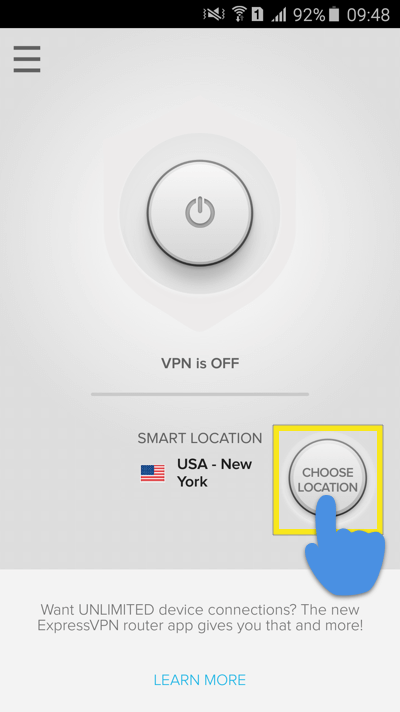 Need a VPN for BlackBerry? 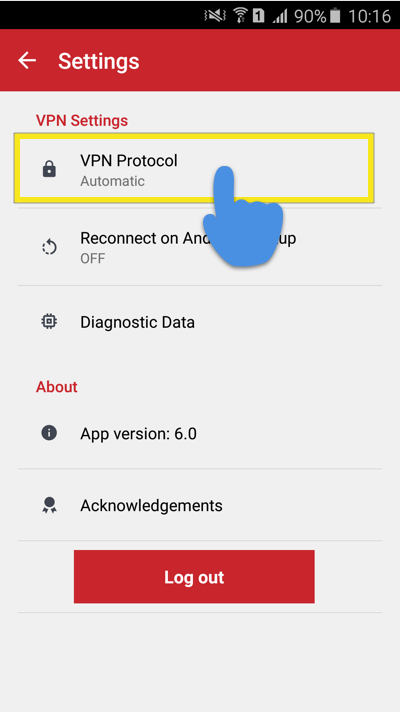 This tutorial will show you how to download, set up, and use your VPN app for the BlackBerry Priv and BlackBerry DTEK50. Not yet a customer? 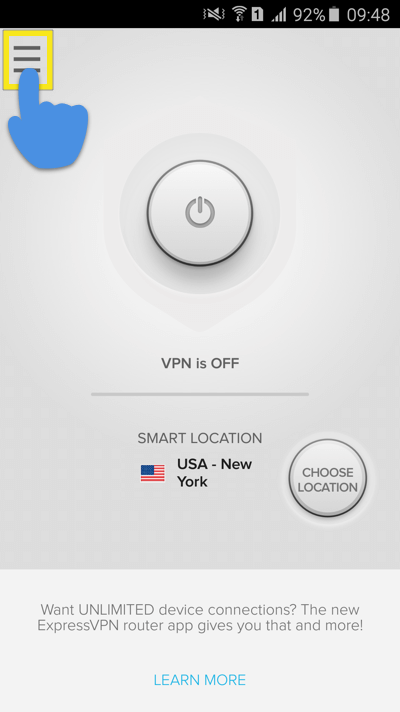 Read more about VPN for BlackBerry. 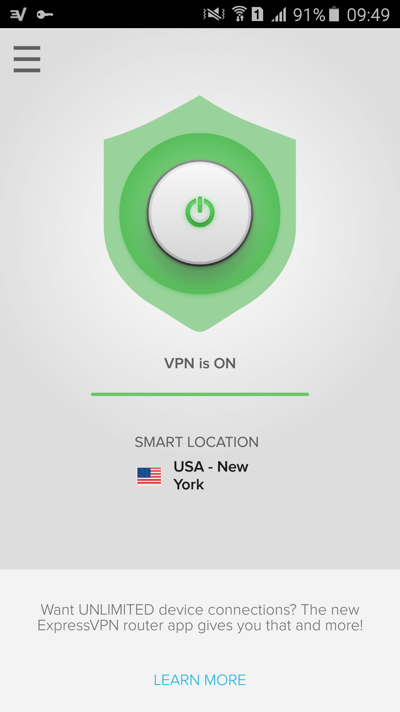 To download your VPN app, sign in to you ExpressVPN account. 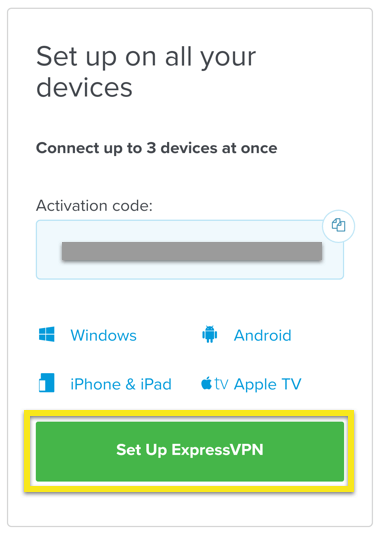 Tap on Set Up ExpressVPN. If you can access Google Play, tap GET IT ON Google Play to download the app. 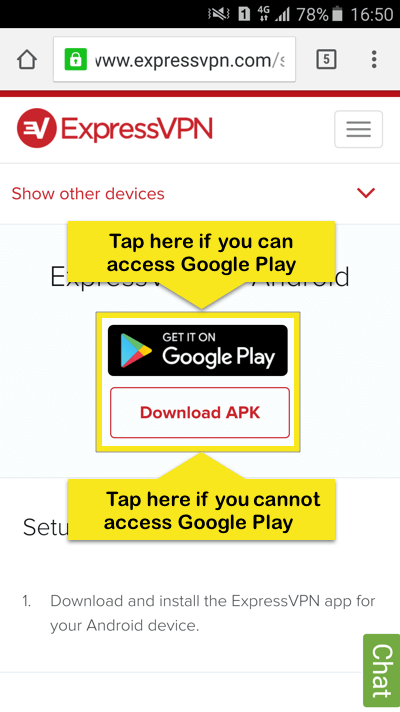 If you cannot access Google Play, tap Download APK to download the APK to your device. 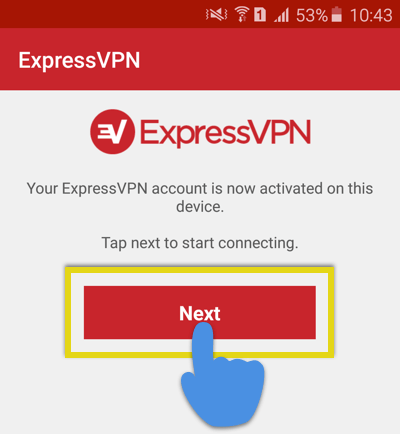 Locate and tap on the ExpressVPN icon to launch it. 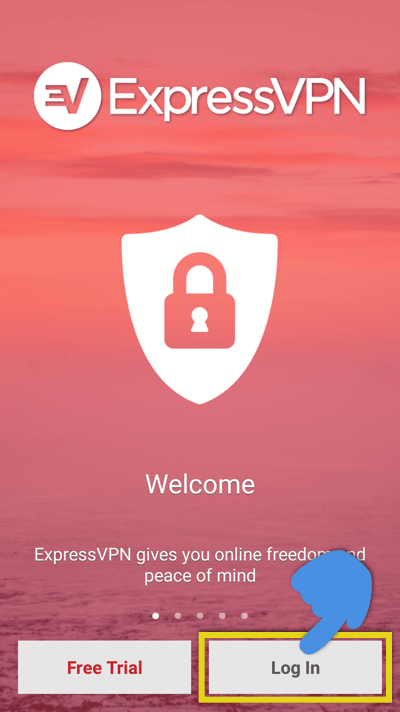 Tap Log In to log in to your ExpressVPN app. 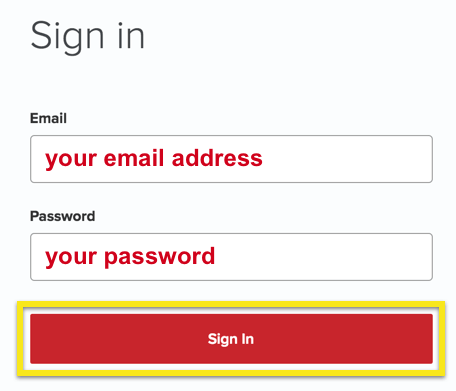 Enter the email address and password you used to sign up for ExpressVPN. 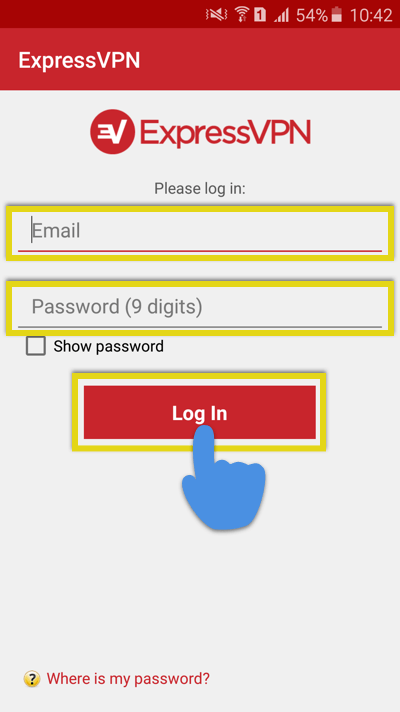 Tap Log In. 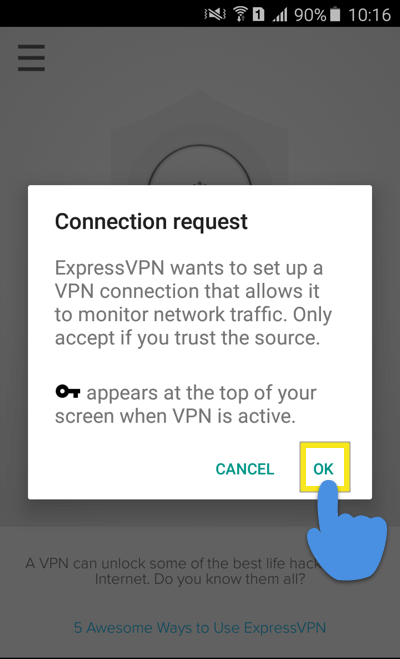 After you’ve signed in, you will be informed that ExpressVPN is now activated for your BlackBerry device. Tap Next. 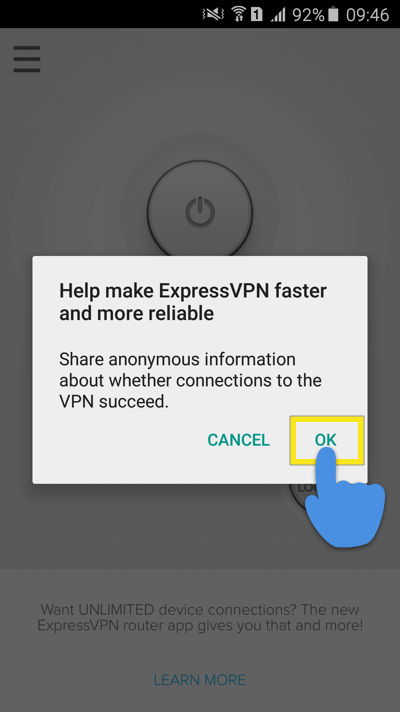 Your app will ask if you’d like to share anonymous information to help make ExpressVPN faster and more reliable. Tap OK if you’d like to share anonymous analytics. 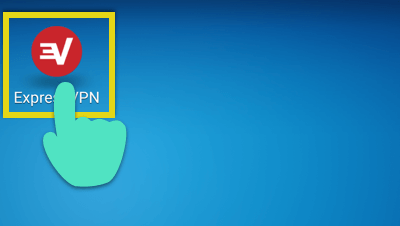 The first time you try connecting to a VPN server, you will see an “Allow connection” notification. Tap OK to proceed. 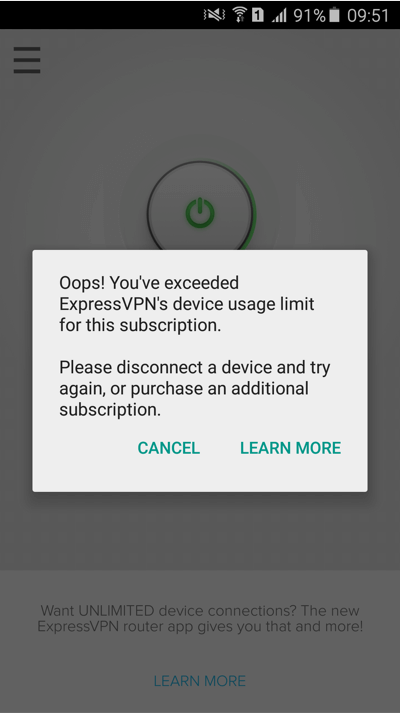 To disconnect from the VPN server, tap the ON Button while the VPN is on. 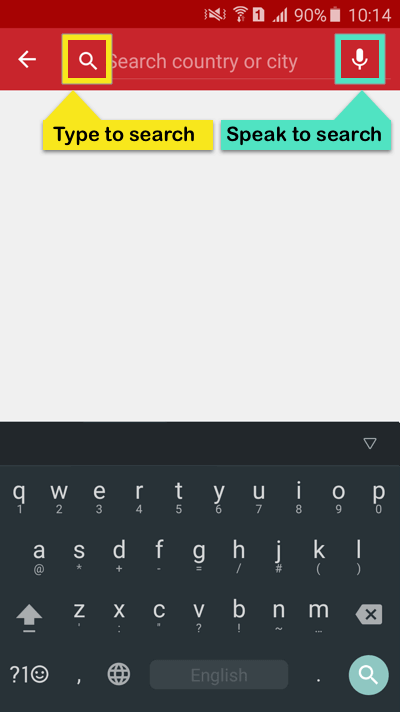 You can search for a location via Text Search or Speech Search. 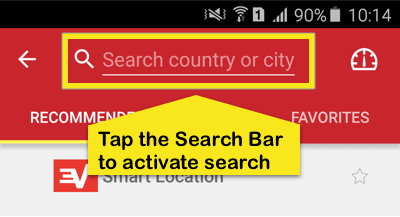 To activate either search function, tap the search bar. 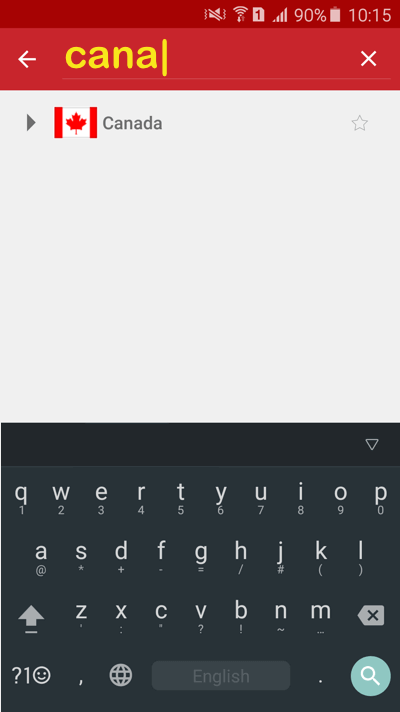 After activating the search function, you can search by typing or speaking into your device. Text Search: type the name of the country or city you’d like to connect to. 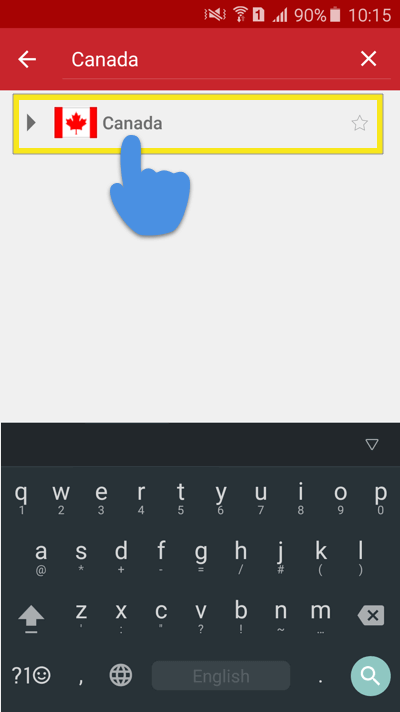 When the location appears in the search results, tap the location to connect. 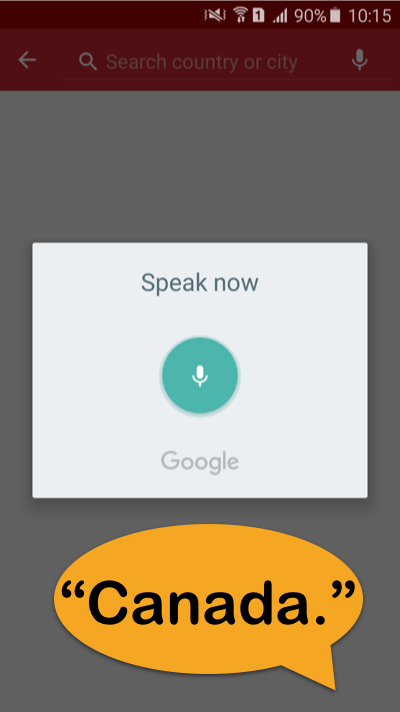 Speech Search: Say the name of the country or city you’d like to connect to. 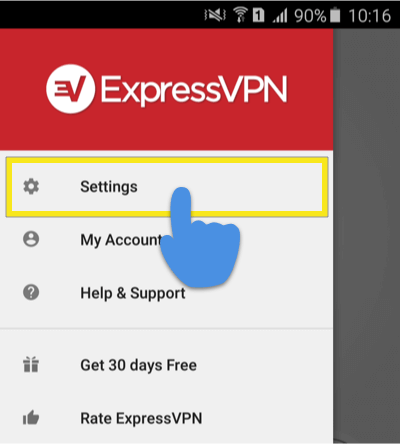 ExpressVPN will list the server locations corresponding to your spoken location name. 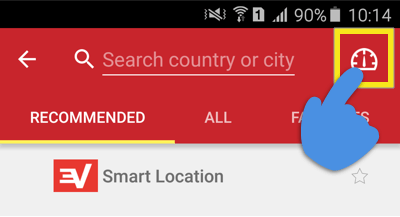 Tap the location you’d like to connect to. To run the Ping Test, tap the speedometer icon at the top of the screen. 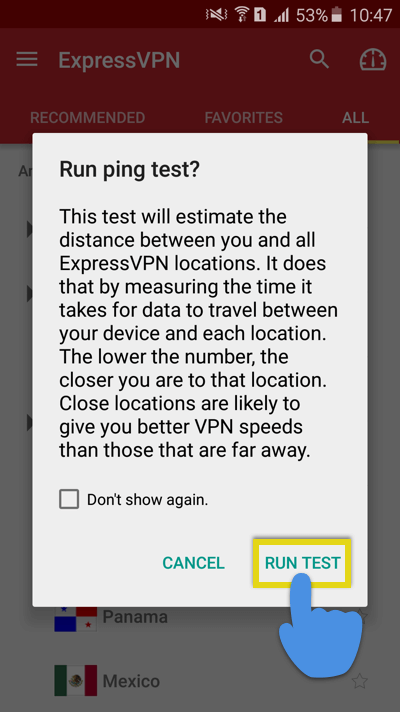 Note: You must be disconnected from the VPN in order to run the ping test. Tap RUN TEST to run the Ping Test. 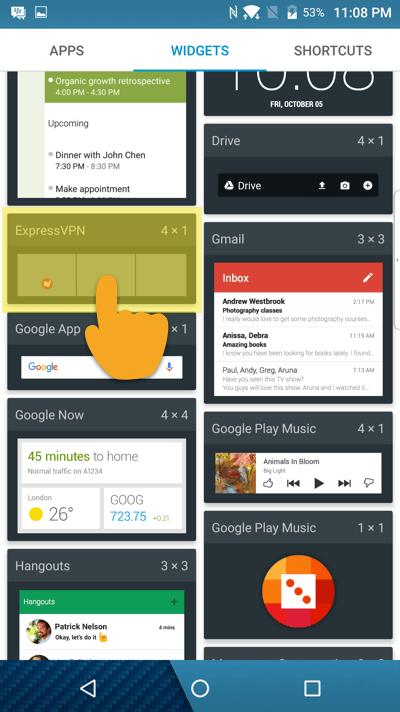 To switch VPN protocols, tap the Hamburger menu (≡) in the top-left corner of the screen. 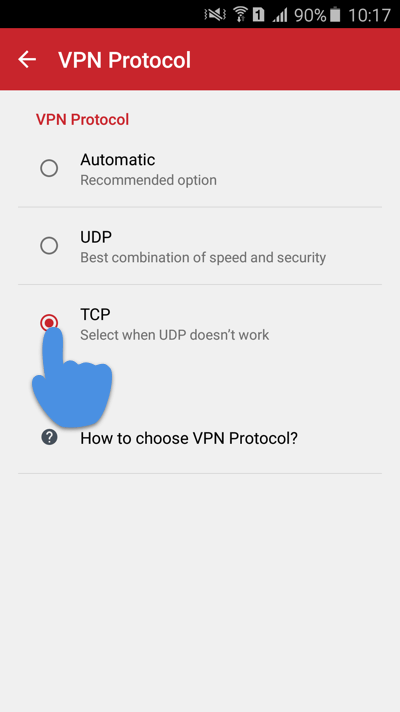 From the settings menu, under VPN Settings, tap VPN Protocol. Select your preferred protocol by tapping on it. 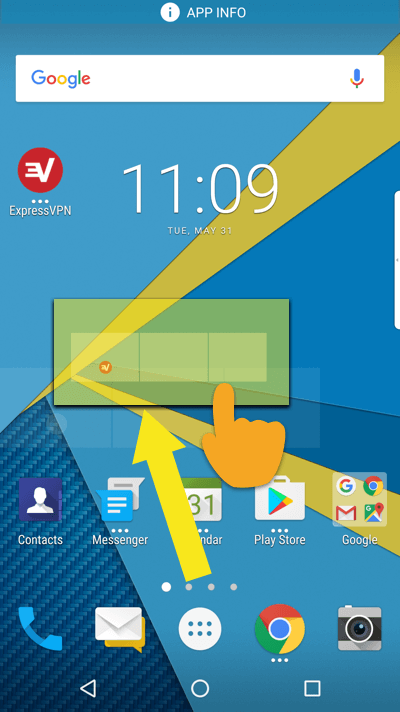 To add the ExpressVPN widget to your home screen, tap and hold an empty spot on the homescreen. 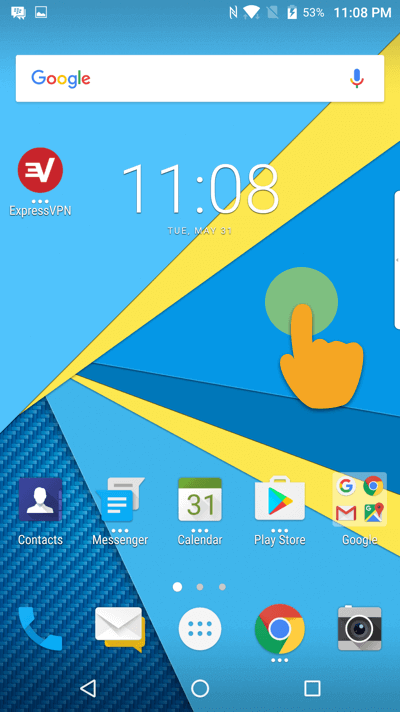 Tap and hold the ExpressVPN widget and drag it upwards. 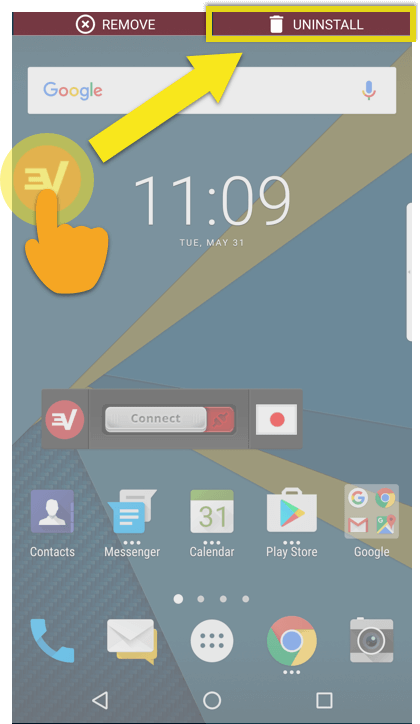 Drag the widget to your preferred screen. 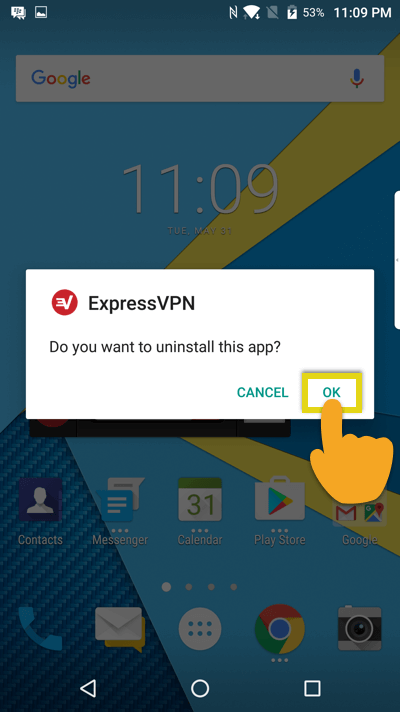 To uninstall ExpressVPN from your BlackBerry device, tap and hold the ExpressVPN icon on the homescreen, then drag it to the Uninstall garbage can. You will see an uninstall confirmation message. Tap OK.